Originally broadcast 20/07/78. Watched by Chris Arnsby on BBC4. Chart music: Gladys Knight & the Pips, Come Back And Finish What You Started . Sham 69: If The Kids Are United [NEW]. Uh-oh it's the People's Poet Jimmy Pursey. It's not the new series of Nozin' Aroun', Sham 69 are opening the show with their anthem to doomed youth who are old enough to join the army, marry and have children but can't drink in pubs. To give Jimmy Pursey some credit he's generating enough energy to whip the young adults in the audience into, by their standards, a frenzy with lots of hand-clapping on the chorus. There can’t be many plays that conclude with a mathematics lesson but The Curious Incident of the Dog in the Night- Time is one of those productions that does what you least expect. It’s a story that if presented as a straight forward TV play or film might struggle to draw in an audience. Simon Stephens’ adaptation of Mark Haddon’s award winning novel however gets under the skin of its central character by using the book’s first person narration and illustrating it with some of the most innovative visuals you’ll see in a theatre. Can the third film in the Cornetto Trilogy be as refreshing as the first two? If you look at the title there’s something not quite as interesting about The World’s End. Whereas Shaun of the Dead was a spot on pastiche of zombie movies and Hot Fuzz took the gun toting action of the U.S to a sleepy English town, this third film in the so called Cornetto Trilogy is kind of a combination of the two. It spoofs the familiar moves of sci-fi invasion films and it brings the end of the world to a small town but is it hilarious? Not as funny as it thinks it is. Is it well observed? Of course it is but if you are making a film about something and then you give it all away in the first half hour what else do you have left to do but destroy the world? Until the sci-fi kicks in, The World’s End is a rather interesting take on growing older played with all the gusto such a great cast can deliver. Afterwards, it becomes less funny and all its observations seem to be about the films it is copying rather than the characters it has established. 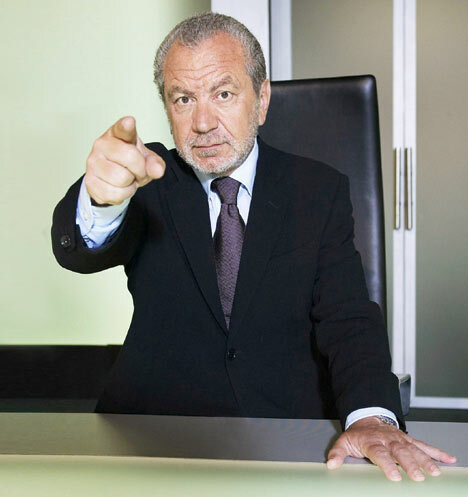 2013’s series of The Apprentice has been the best one for some time managing to successfully mimic the pattern of a tv drama springing several surprises and coming up with some interesting characters. It also scores because it remains one of the few series of this type where the viewer gets no vote and if forced to listen to people who know what they’re talking about even if that does often manifest itself in Lord Sugar’s barely literate pronouncements OK.
Tony Blackburn. “Hello. Welcome to Top of the Pops and right now here's that brand new top twenty.” Man, Tony Blackburn just isn't trying any more. He's used the same introduction (with minor variations) for at least the last five shows he's presented; and this time he's forgotten how many songs make up the top thirty. Chart music: Saturday Night Band, Come On Dance Dance . 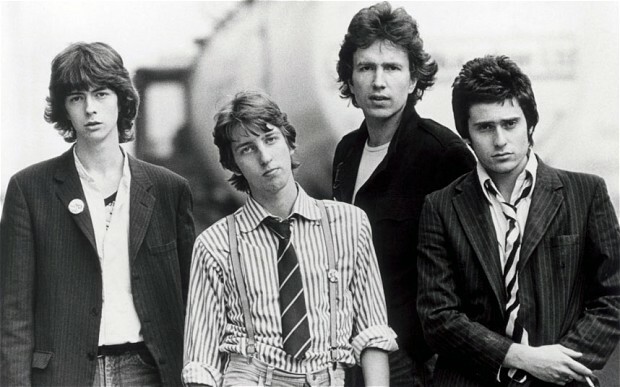 The Boomtown Rats: Like Clockwork . This is the third outing for a song which has been hanging round the charts since mid June. The original performance took place on a J**** S***** show, and the first repeat on one presented by D*v* L** Tr*v*s, so it's a new performance to us BBC4 viewers. Bob Geldof's brought along props to illustrate the song; a clockwork mouse, and a clock. The prop tomfoolerly shows he's really getting the hand of this television lark. As do his movements on camera. A lot of singers jiggle from side to side, forcing the camera to make sudden lurches to keep them on screen. 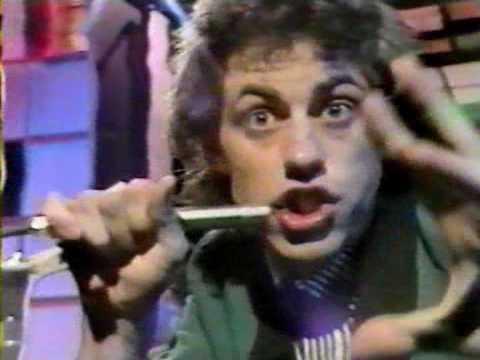 Bob Geldof tends to move backwards and forwards, it's much more effective and really allows him to dominate the camera; the lad's a natural. The rest of the band amuse themselves with staccato dancing. England 2089. People live in rural communities with resources that stretch no further than the Victorian era and under the rule of three legged metal behemoths known as the Tripods. One boy- Will Parker- already having doubts over the ritual `capping` that takes place when people reach the age of 18, is inspired to make a daring journey to uncover the truth. England 1984. The BBC is seemingly awash enough with money to invest in a second sci-fi series and decide to adapt John Christopher’s Tripods trilogy to fill the early Saturday evening slot. England 2013. We’re going to watch it one episode a week for the rest of the year. It’s difficult to know who is more ambitious- the BBC for thinking they could successfully realise seventy foot tall metal machines or us for imagining we will make it through the meandering narrative. I remember seeing the series when it was shown; in fact what I remember is the main characters wandering around outside and the Tripods themselves only showing a metal leg now and again. Oh and a vineyard. A lot of time spent in and around a vineyard. 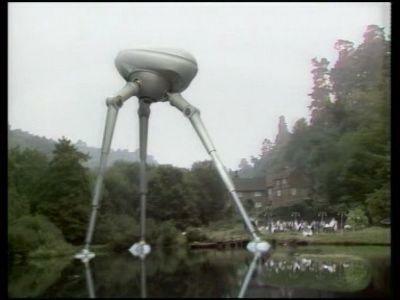 Nearly thirty years later will we be grabbed by the Tripods? "Oh an iPod. I thought you said get me a Tripod." Magic stretched beyond its limit in director Louis Leterrier’s stylishly presented but unlikely film. Magic works, we are told in Now You See Me, because it relies on distraction. While you’re watching one thing (the thing a magician wants you to watch) the real trick is taking place somewhere else. Of course we don’t pay attention to this implicit warning while watching this film because we are being distracted which is the very point. 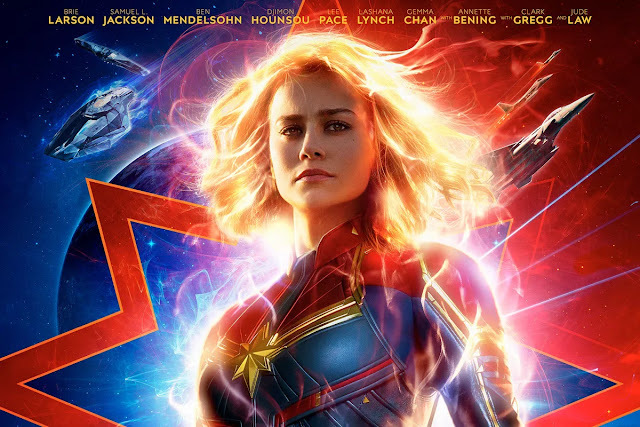 Thus the movie is almost too clever for its own good even though it is a refreshing change of pace from the endless superheroes and exploding buildings 2013 seems to offer up. 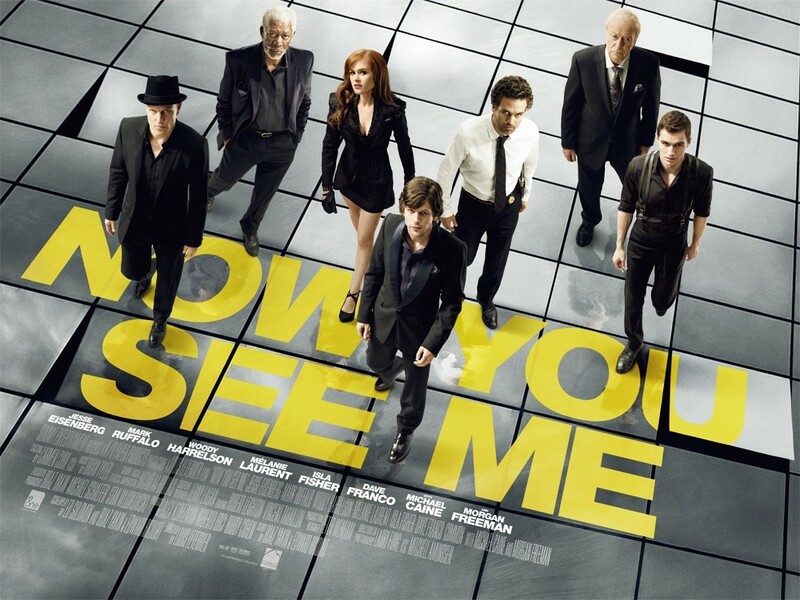 However the overall success or otherwise of such a movie is reliant on providing a decent enough explanation as to what we’ve seen which Now You See Me does not quite pull off. Nonetheless it is a cool enough ride getting there. Tom Robinson is a curious fellow. From suffering a nervous breakdown as a young man he became an articulate banner waving rock star. After becoming a prominent gay spokesman he ended up falling in love with and marrying a woman. From the New Wave of Tom Robinson Band he’s ended up as a respected, award winning radio presenter at the BBC. In 1978 Granada Television afforded him a generous 45 minute documentary Too Good To Be True, which has remained largely unseen since its original broadcast in 1979 until it’s release last week as part of an Anthology set which includes the group’s two albums. 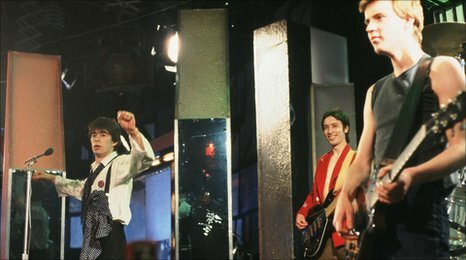 Director Mick Gold manages to get under the skin of both the man and his band in a way few such enterprises manage. A woman knocked accidentally knocked down by Straker ten years ago wakes from a coma- and reveals the existence of a major alien threat that could still happen. Catherine Fraser has had a full 24 hours – she ran away from home, met a musician called Tim, experienced a bizarre pills induced trip in which he fell off a roof, saw aliens making a bomb and kidnapping Tim, walked five miles, was attacked by a passing motorist and then knocked down by Ed Straker’s car. No wonder she decided to sleep for a decade! Her awakening is greeted by SHADO’s assurance she is the `safe` hands of spooky Dr Jackson which is about as un – safe as you can get. Moments later Straker is questioning her with the vigour of a police inspector desperate to squeeze a confession, next minute they are sharing a quiet chat in the gardens. All the while proceedings are being watched by a person unknown. Except we know it’s Tim, don’t we? "I'm sure they are Cheerios" "No, they have to be Corn Flakes." In which a bunch of actors find their party interrupted by the end of the world! 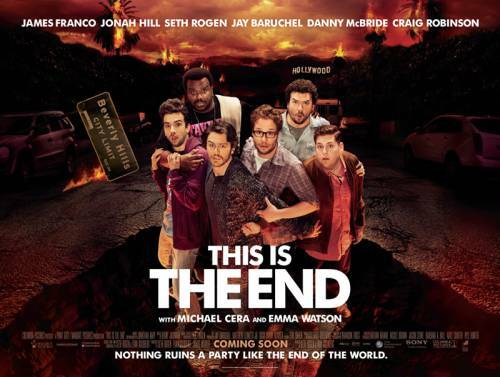 It doesn’t really matter if you don’t know much about Seth Rogan, Danny McBride, Craig Robinson and company because This Is The End is really about a group of squabbling mates caught in a life or death situation. Its broad humour is broken up by sequences that could be from an action film and which employ state of the art special effects. Taken as a package it is entertaining and sometimes very funny though you do feel opportunities were missed to comment on Hollywood culture and the tropes of blockbuster films. 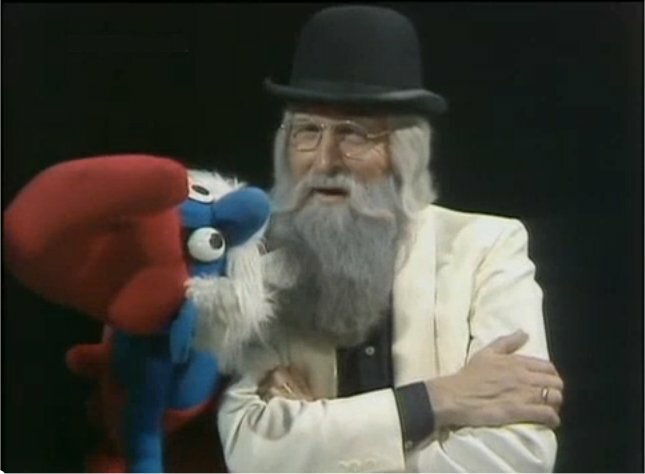 Chart music: Father Abraham & The Smurfs, The Smurf Song . Buzzcocks: Love You More [NEW]. Fast cutting, crash zooms, and a few dutch angles make the perfect visual accompaniment to this nippy little song. Take a close look during the rapid cutting. It's more complex than simply switching between the output of two cameras. If you take the cameras as being numbered 1,2,3, and 4 the sequence of cuts at the start of the performance goes roughly; 1,2,1,2,3,2,3,2,4,2,4,2,1,2,1,2 before cutting with perfect timing to the lead singer for the opening line of the song. The vision mixer is such an important part of the look of Top of the Pops and it's astonishing that they are not credited in the closing titles. There's more studio cleverness with the abrupt ending to the song. On the “till the razor cuts,” line the studio lights are faded down and we cut to Peter Powell, with the band in the background, and the lights on the Buzzcocks' stage still fading. Very nice. "It's my beard!" "No, I think you'll find it's my beard!"